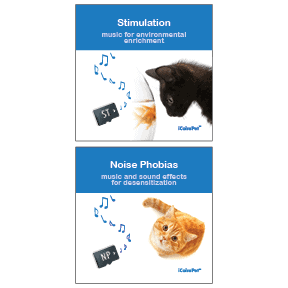 Our music and training programs are psychoacoustically designed to help calm your feline. Based on real-world situations and behaviors, use iCalmCat music to help improve your feline’s quality of life. No more stressed cats! iCalmCat helps by creating a consistent auditory environment. With superior sound quality and functionality, iCalmCat will be greatly enjoyed by 2- and 4-leggeds alike. 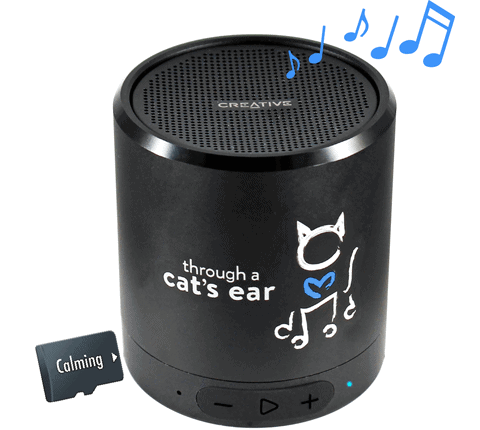 The iCalmCat Music Store provides specialized audio programs for the iCalm 5.0 Player and accessories for felines and humans who are on the go. The Through a Cat’s Ear series an adjunct to wonderful enrichment programs. Used together, you can exercise your cat’s innate animal instincts while keeping her safe and sound – purring on the corner of your bed and chasing your playful toes. Click any title to learn more.